SpaceILAn illustration of ‘Sparrow,’ a 1,300-lb robotic lunar lander that could make Israel the fourth country ever to touch the moon’s surface. The team tried to win $US20 million from the Google Lunar XPRIZE, but the competition ended without a winner. 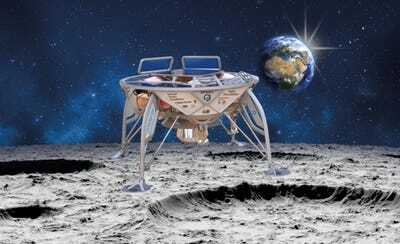 Regardless, SpaceIL says a SpaceX Falcon 9 rocket will launch its robot in December for a moon-landing attempt in February, 2019. SpaceIL’s mission could make Israel the fourth country to achieve a soft moon landing. The Google Lunar XPRIZE launched in 2007 with tens of millions of dollars in prize money and the hope of spurring a private company to land a robot on the moon. The competition ended in March 2018 without a winner, but its ultimate goal may be achieved within six months. SpaceIL formed in 2011 as a Google Lunar XPRIZE team. It has since attracted about $US95 million in funding (about one-third from Kahn) to build what it initially called “Sparrow”: a 1,300-lb moon robot equipped with cameras, magnetic sensors, and transmitters to relay data to and from to Earth. In July, the team announced a launch date aboard a Falcon 9 rocket built by SpaceX. If that launch happens as planned, Sparrow – a temporary moniker until the spacecraft is officially named – will blast off from Cape Canaveral, Florida in December and touch the lunar surface on February 13. The moon is about 239,000 miles away from Earth, but the biggest challenge in getting there is harnessing enough energy to climb out of our planet’s gravity field. For example, sending three Apollo astronauts, a small space capsule, and a two-person lunar lander vehicle required a 36-story Saturn V rocket filled with millions of pounds of fuel. Sparrow is nearly 5 feet tall when tucked into position for launch, making it relatively easy to squeeze aboard a rocket. The robot is slated to accompany a larger, undisclosed payload on the Falcon 9 rocket. 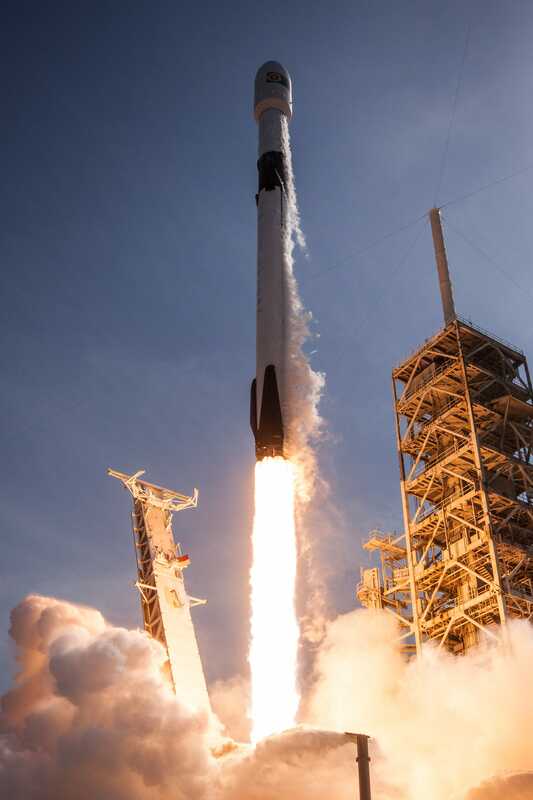 Pricing tables from Spaceflight Industries – the company in charge of arranging the rocket rideshare – suggest that launching Sparrow might cost about $US22.5 million. SpaceIL declined to share how much it’s actually paying for the launch, but the total is likely far less than the $US62 million cost of an entire Falcon 9 rocket launch. About 75% of Sparrow’s mass is made up of fuel, which will propel it into lunar orbit – a trip that will take the probe about four weeks. After a few weeks of looping around the moon, a final burn of Sparrow’s rocket engine will bring it down to the surface, where it is expected to land autonomously. The entire landing process should take about 15 minutes. SpaceILThe ‘Sparrow’ lunar lander designed and built by SpaceIL. Sparrow will navigate its lunar landing using autonomous software and a computer about as powerful as a smartphone. 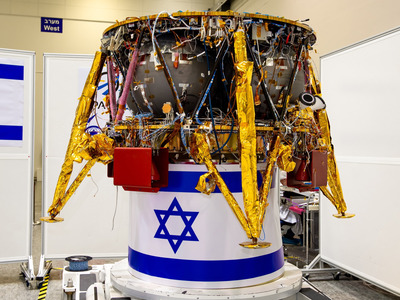 During its descent, the lander is supposed to record video and panoramic photos while beaming footage to a control room at Israel Aerospace Industries. “It will be possible to operate all the spacecraft’s systems from this control room,” SpaceIL said. Part of Sparrow’s surface mission is to take measurements of the moon’s magnetic field for the Weizmann Institute of Science at the University of California Los Angeles. However, Sparrow’s precise launch date is still unknown – even to SpaceIL – as is the proposed February landing date. That’s because the spacecraft will be undergoing final testing in vacuum chambers and other facilities through October, and then it needs to be shipped to Cape Canaveral. If problems with these activities don’t delay a launch, weather or technical issues could. SpaceIL said money-raising efforts for the mission continue, but added “the launch is ensured” to happen.